Take this opportunity to enjoy a great Madrid experience during this 4 hour private tour of the Royal Palace of Madrid with your own private guide and private vehicle. Once your tour guide pick you up at your hotel or meets you at your place of choice, you can get ready for a private tour of one of the most famous monuments of Madrid - the Royal Palace. 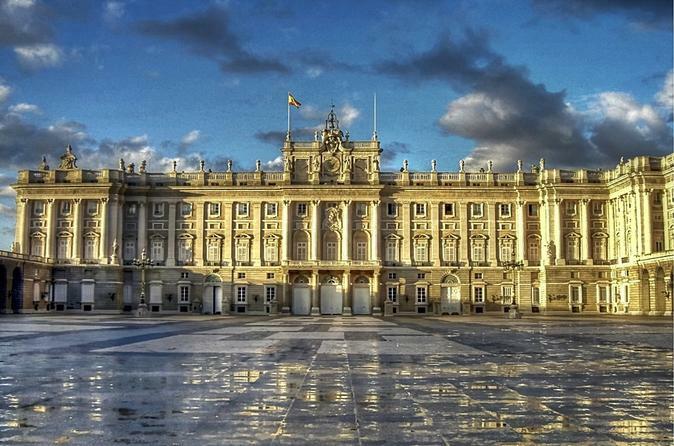 It is the official residence of the Spanish Royal Family, used for state ceremonies. The place where it is located dates back to 9th century and has been used as a royal court since Philip II moved his court there in 1561. Once your private tour is finished you will be taken back to your hotel.